In the world outside Yahoo’s office park headquarters in Sunnyvale, California, there is a general consensus that Yahoo (YHOO) CEO Carol Bartz’s days at the top of the company are numbered. They may number in the thousands — corporations move slowly — but they are numbered. 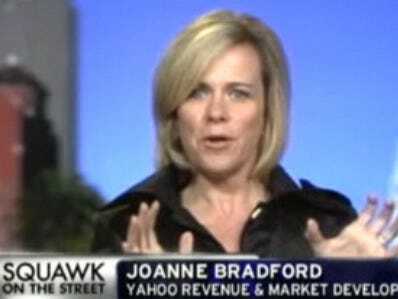 This was the case even before news broke today that Yahoo’s top ad sales exec Joanne Bradford was quitting the company. That departure comes as a stunning vote of no confidence. Carol is a brilliant operator. She has, in her short tenure of just over a year, streamlined Yahoo’s management structure, shut down costly businesses, and sold other losers for whatever cash she could get. 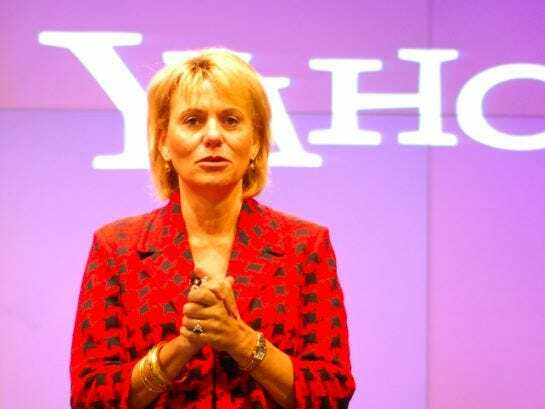 But since Carol joined Yahoo, her biggest strategic moves have been to waste a half year and millions of dollars on an ad campaign even she now recognises as a failure, and to form a partnership with a company (Microsoft) that is hellbent on eating up as much of Yahoo’s search share as possible. 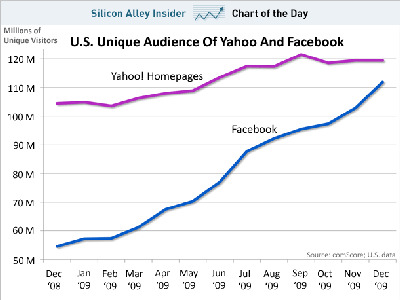 During this time, Yahoo has also managed to lose its place as the world’s second biggest Web site to Facebook. 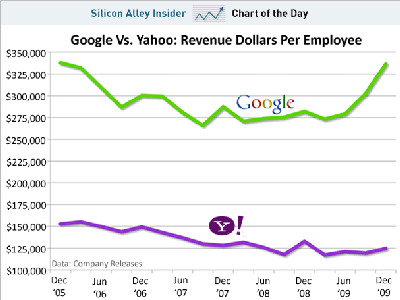 So what are Carol and Yahoo to do? We keep hearing one scenario increasingly described as inevitable. Yahoo could buy AOL, promote Tim Armstrong to CEO of the new company, and move Carol to chair. 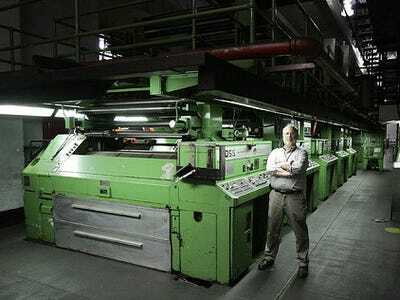 A tough CFO — someone akin to Google’s Patrick Pichette? — would have a field day cutting hundreds of millions of dollars in redundant costs between the merged companies. 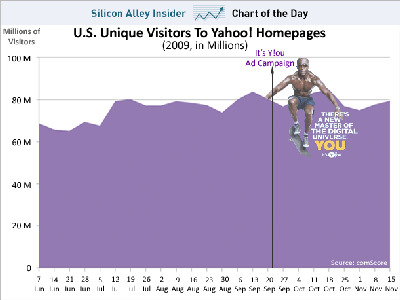 Yahoo used to be the second most popular Web site on Earth. Now that honour belongs to Facebook. Yahoo didn't fire ad boss Joanne Bradford. She fired Yahoo. That's a sign of rot. 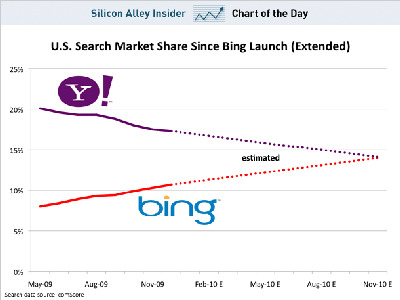 Yahoo engineers hate the company's search deal with Microsoft. Carol put out these videos to appease them. 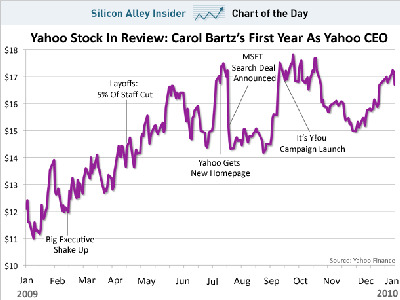 carol bartz features sai-us search yahoo!